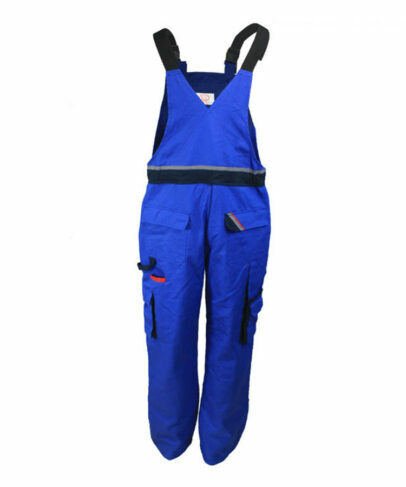 This royal blue fire retardant anti static welder working bib overalls made of 350gsm cotton fire retardant anti static fabric, and can meet EN ISO 11612, EN 1149-5, NFPA2112 and other standards. 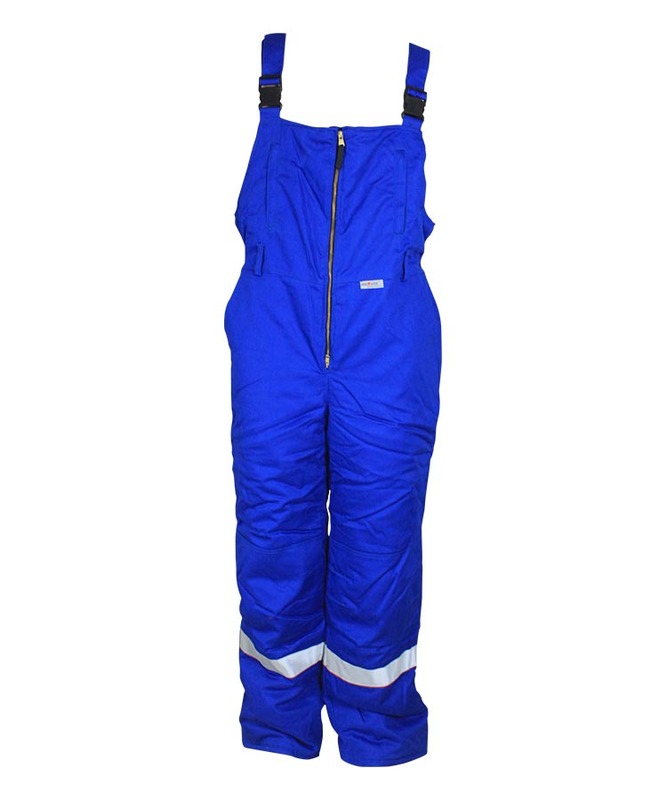 This fire retardant anti static welder working bib overalls adopting high quality natural cotton fiber fabrics, and the fire retardant anti static welder working bib overalls has self-extinguishing when leaving the fire, without molten drop, char length can be controlled within 10cm, and the welder working bib overalls can prevent electrostatic accumulation effectively, and release static quickly, soft touching, good strength, good wear resistant property. 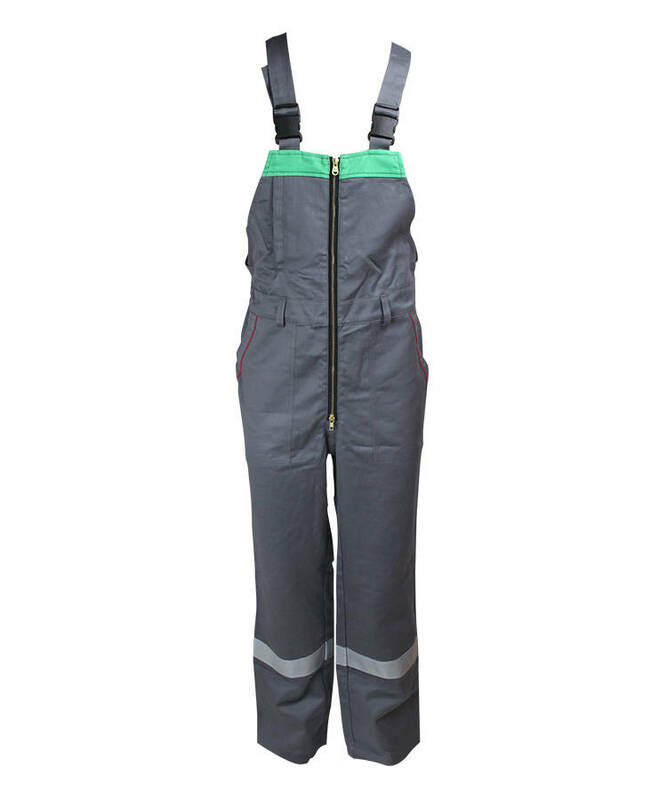 And this welder working bib overalls also has good elastic both under dry and wet condition, stable dimension, small shrinkage, not easy to fold, easy to wash, fast drying. 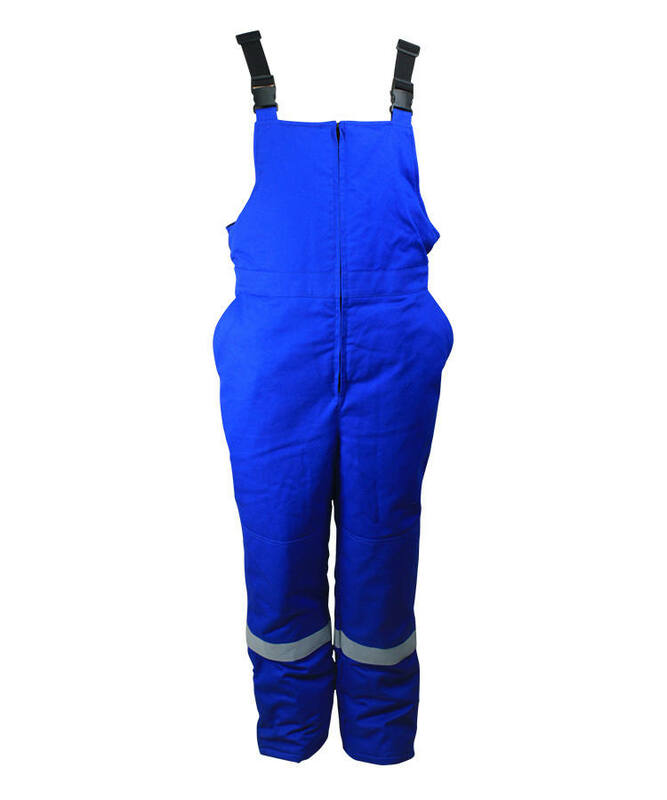 This fire retardant anti static welder working bib overalls has good breathability and suitable used in hot and humid conditions. 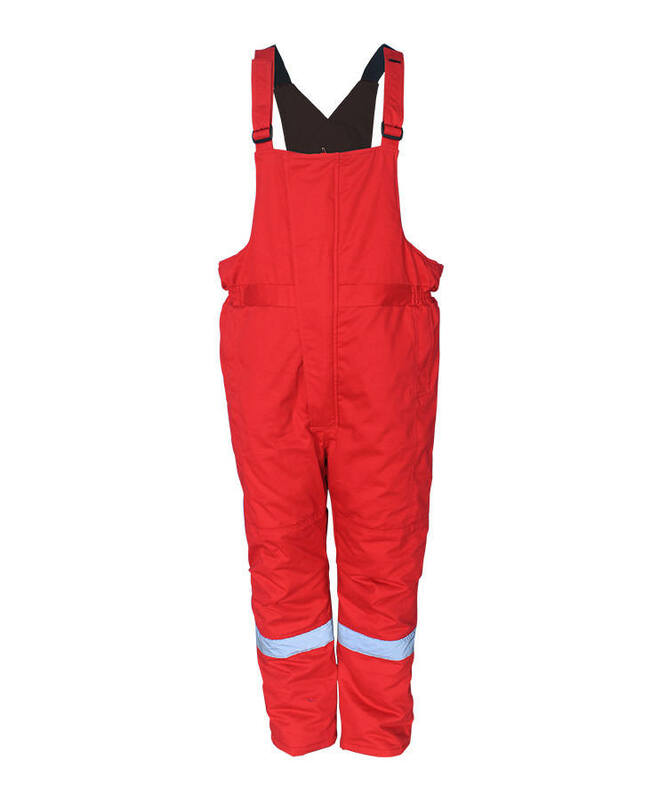 Our fire retardant anti static welder working bib overalls can be produced red, orange, white, grey, black, royal blue, navy blue, green, khaki and other colors according to customer’s color swatch. Front bib have three in one pocket, slit pocket closed by zipper, patch pocket closed by velcro, contrast color pen pocket, front pocket joint by four different color. Inside of front bib there are two small tool loops and patch pocket, patch pocket with flap and closed by velcro. Contrast color waist, back waist there is elastic band and four holes button, thus makes waist length adjustable. Hip patch pocket with flap, right side flap contrast color joint, new and unique. Each side of the welder working bib overalls, there is a slant pocket, in pocket fabric there is a pocket, closed by zipper ,thus to avoid when worker at work the goods drop out. Left side of three-dimensional pocket left bottom side, there is a tool loop, beside the loop there is a contrast pocket, below the pocket there is a two in one contrast color patch pocket with flap, closed by velcro. Bib pocket front fly closed by metal zipper. On straps there is 4cm width twill elastic band, can greatly increase the shrinkability of the straps, front pocket opening with straps are connected by a plug buckle closure, can be adjusted according to the needs of the wearer strap length, increasing the comfort of the wearer. 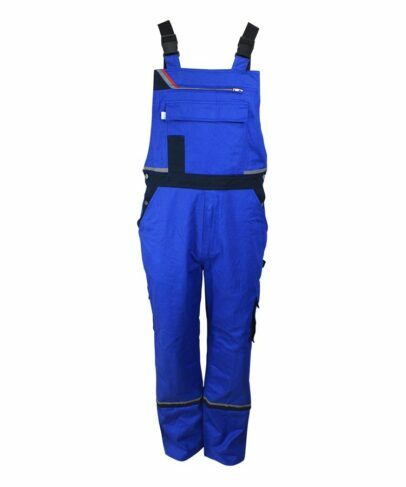 This royal blue fire retardant anti static welder working bib overalls have knee pad on front legs, bottom on knee pad have velcro closure, place protection mat according to work demand, and better protect your knees. Back bib double layers cross joint. 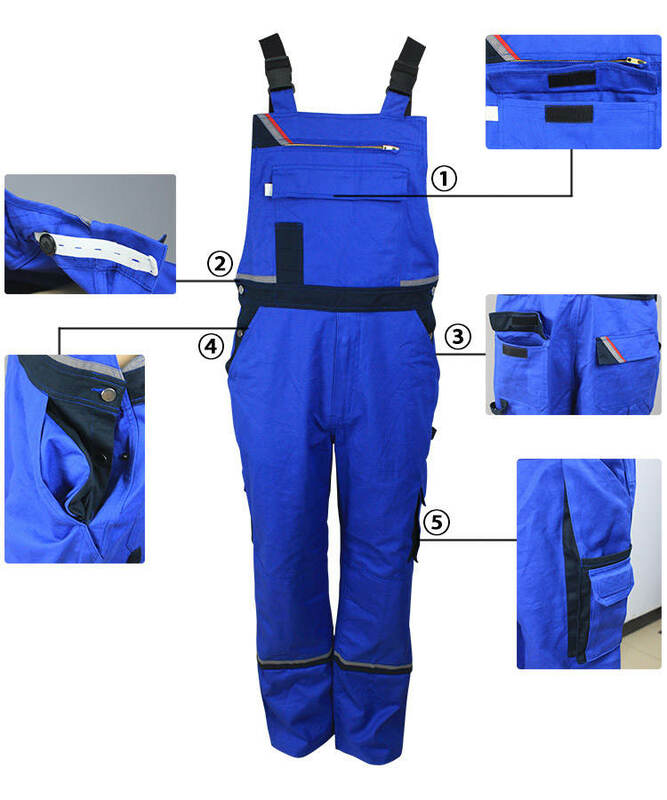 On each side of this fire retardant anti static welder working bib overalls, there is opening, closed by double lines snap button, waist length adjustable, convenient for take on and off. On the botton right side of the right pocket, there is a two in one tool pocket and a contrast three-dimensional pocket, three dimensional pocket with flap and closed by velcro.